A California-based dessert and coffee chain is making its first footprint in Arizona with a Tempe location that will open early next year. Churroholic — which, as you might guess, is known for its deep-fried churro treats — is opening at Tempe Marketplace, The Arizona Republic reported last week. 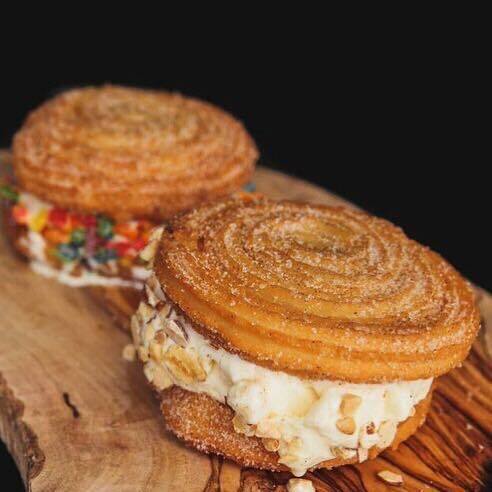 Offerings at Churroholic include churro ice cream sandwiches and churro loops rolled in a variety of toppings, The Republic reported. The chain was founded in Anaheim, California, in 2017, and its brightly colored dessert items have made it an Instagram favorite. Churroholic also offers hot and iced coffee, tea and milkshakes. For more information, visit the chain's website.